Editor's Note: This blog was originally published in KM World in April 2016, and has been reproduced here with permission. Top LMS Vendors: online knowledge forums, videos, etc. and get informed on just anything. The information available is abundant. You might think if there is a concrete need of a Learning Management System (LMS) versus letting the employees find and learn on their own. The second way sounds simple but unless you have just started your business or have a very small workforce, it is not going to be an effective method in the long run. Right from analyzing the skills required, sourcing the right learning material, checking its authenticity, easy access, to measurement and tracking, etc. will be a problem if you just let your employees learn on their own. 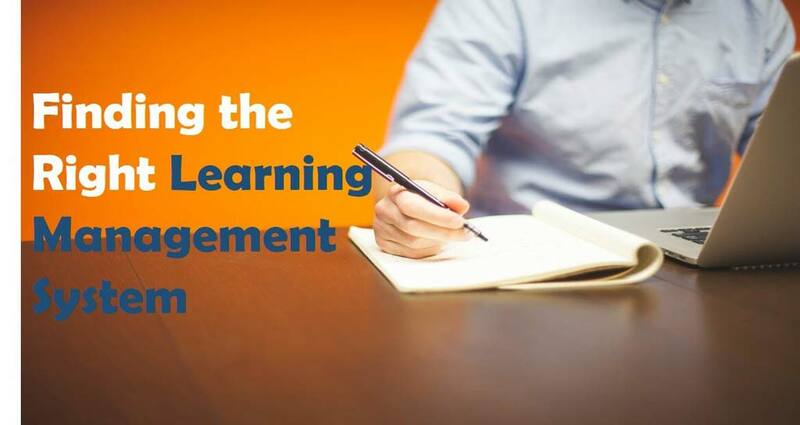 Using a LMS is the only way through which, you can provide a systematic and centralized learning process for your employees. And, the first and most critical aspect of selecting a LMS is evaluating your own requirements and objectives. Evaluate Your Need and Requirement: It is important to evaluate points such as total number of users expected, operations structure, learning and training objectives, current IT infrastructure and its limitations, system management, etc. Get as clear and specific as you can. For example, some of your workforce might be working at the client’s office and can’t access anything outside of the client system. How will the LMS work for them? You also must assess the present learning methodology or LMS from all perspectives in order to select the most effective LMS. Think whether the LMS will be used more for classroom training or e-learning and accordingly decide the kind of LMS that you require. Assess LMS’ Features and Usability: There are multiple Learning Management Systems in the market, each providing a unique set of features and usability. While it is great to have a large number of features, it is more important to understand its usability for end-users. Don’t get fooled by a product demo where they claim to have maximum features. Some of it might not be useful to you at all but will make the system more complex and provide an unfriendly interface. The LMS should have a streamlined interface and work flow for the administrators as well for it to run successfully. Multiple features also tend to increase the maintenance costs. Your selection should be on the basis of key features and usability that you require rather than the features that they provide. Focus on Scalability and Value: Think from a larger perspective when trying to find an ROI on your LMS. Imagine choosing a vendor for a particular department only to find the requirement to extend it to another department few months later but, only if the present LMS could have allowed you to add more users. With the changing work environment and compliance requirement, your LMS should scale to meet the needs of larger and varied workforce as well as evolving training requirements. Understand the LMS’s Support and Security: Your LMS will contain a lot of sensitive data and it is very important to have a robust and secured LMS. Analyze the security settings and keep your IT team in sync to help you identify the right security structure for your organizations’ need. For example, the LMS should provide settings in a way that one set of training or reading material can only be accessed by one level of employees in the legal department and not by anyone else. Also, evaluate the support that the LMS vendor is willing to provide. Will it come as a part of package or only in the deployment phase? Can your end-users contact them directly? Know Company’s History and Stability: LMS vendor landscape has seen a major consolidation in the past and is still an ongoing trend. In such scenarios, it is very vital to understand vendor’s history, their future outlook and stability factors. Everything right from your SLA’s, to support, product upgrades, pricing is going to be affected if your current vendor gets bought or merged by another company. You also need to analyze their product upgrades structure and how it gets aligned to the changing training needs. Research suggests that lack of products upgrades and inadequate vendor’s support were two major reasons for 66% of users to look for a new vendor in 2015. Ask for a Trial Version: A trial version would provide you a real feel in to the interface, features and usability. You may also ask for a sandbox installation where you can explore the top LMS vendors that you have selected. Let a small team of end-users and administrators try it out and give you feedback. You can compare the feedback from all set of users for different products and see which one gets the maximum marks and do a better cost analysis too. While these tips are most important when selecting the right LMS for your organization. A bit of research and evaluation on vendor’s clientele, services, customer references can be few additional items to keep in mind.